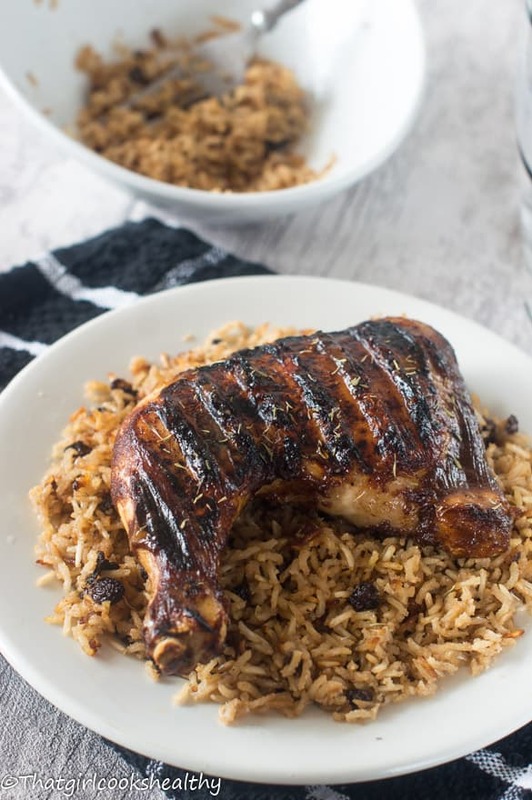 Tamarind chicken recipe – This succulent tangy chicken marinaded with a Caribbean style tamarind sauce and chargrilled to lock in the flavour. I think it’s time to make another Caribbean style recipe, don’t you think? 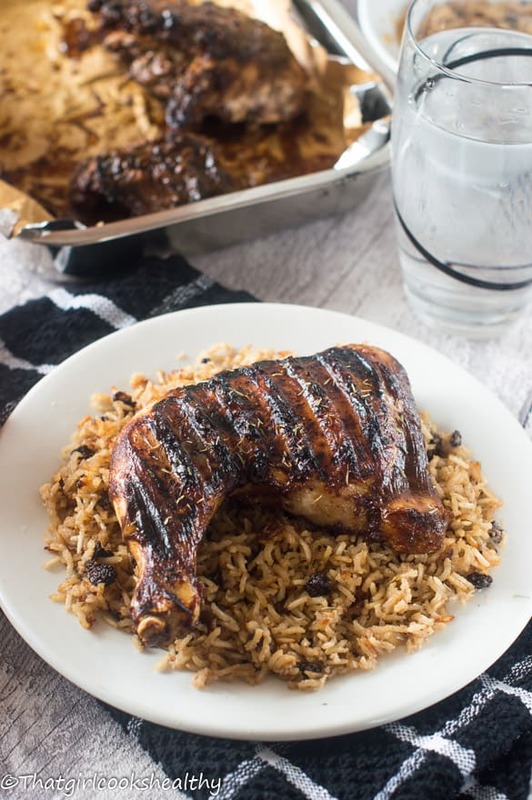 It’s been a while since I did one and as my faithful readers already know I tend to take a great deal of time preparing healthy versions of Island style recipes. This one is really flavoursome, I mean seriously tasty and I’m not even exaggerating either. Tamarind is a fruit that’s very popular in the Caribbean, Africa (where its origins lie) and also within the Asian continent. It’s safe to conclude that both regions are quite fond of using the fruit. In case you’re unsure of what tamarind is, that’s okay because I’m more than happy to explain what it is. It’s a soft edible fruit enclosed in a brown shell that bears a dark hue containing small stones. In the Caribbean, we enjoy doing a variety of things with fruit including making tamarind juice, tamarind balls which are extremely popular and jam/sauce/chutney. The taste is rather sour so Island people like to balance the sourness with a sweetener creating more of slightly sweet and sour flavour. On the contrary, some people simply de-shell the tamarind, eat the pulp then discard the stones as they consume. I’m not a huge fan of sour fruits and as a result of my disdain I always end up making something rather sweet with tamarind. Today I’m going to show you how to fall in love with this rather sour tropical fruit. This chicken dinner will win you, your friends, spouse and family over (I promise). I’ve made this recipe for several months now, usually as a surprise for guests and they end up having seconds. I don’t let them know what is it until they’re finished eating because the psychologically aspect of the flavour would probably halt consumption and there’s no way that Charla is going to spend hours preparing a dinner party only for the guests to refuse to eat it. In short, what I’m declaring here is that I’ve managed to ace this recipe, sounds arrogant, I know right BUT I am relaying what my dinner guests and co have said, heck blame them not me. 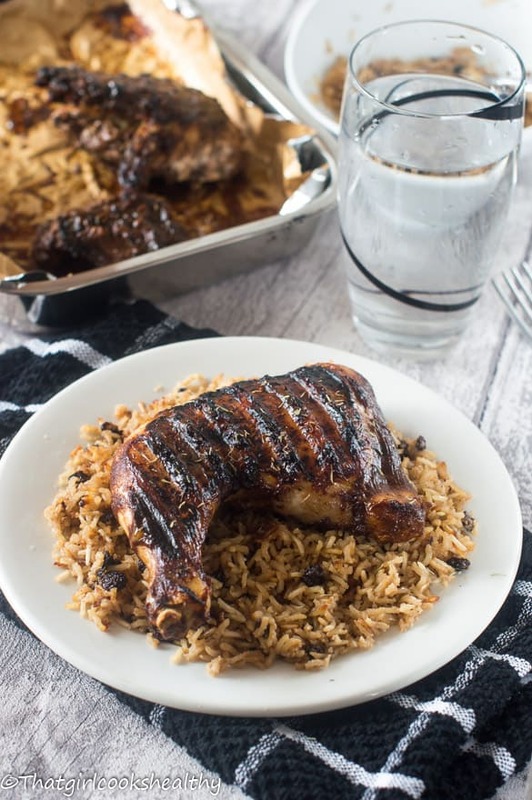 Before doing anything you’ll need to prep the chicken to marinate, now some people don’t wash their chicken but in the Caribbean, it’s customary to neutralise the chicken with lime, salt, vinegar or using sour orange. If you don’t then do this, that’s fine, skip this step, although neutralising meat is a cultural norm. To prep the marinade, you’ll need some tamarind (of course) sometimes it’s not easy to the fresh pulp in the shell. If you cannot obtain fresh tamarind from any Caribbean/Asian groceries simply use the dried version in the package – it works the same! The fresh tamarind needs to be deshelled, stone removed and pureed in a blender with a few tablespoons of water. Equally, the dried version can also be pureed using the same format, just measure half a cup worth of puree upon completed not before. For best results allow to marinate overnight or at least several hours so the chicken absorbs the full flavour. You can use any cuts of meat you like – legs, drumstick, breast for a clean leaner option. In terms of how the chicken is cooked, I used an electronic grill which sandwiched the meat together to charr. 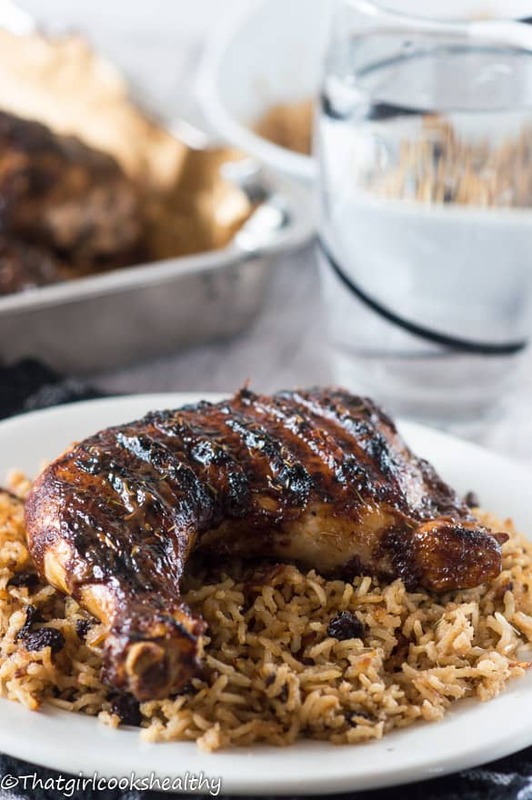 However you can roast the chicken in the oven or on a barbecue grill. I don’t own a barbecue grill so if you do take that route, then grill accordingly. For oven roasting, temperate 200c/400f/gas 6 it should take 30-40 minutes to completely cook through (meat shouldn’t be pink). You can baste the meat about 15 minutes into roasting to add a deep level of flavour and more colour. Prepare the marinade for the chicken by combining and puréeing all of the ingredients together in a blender. Reserve half of the marinade for the sauce/glaze. 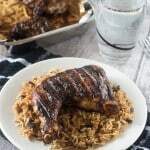 Pour the rest of the marinade over the chicken pieces, you can use a bowl or zip bag to allow the chicken to infuse the tamarind – overnight or for several hours. Remove the chicken from the marinade and discard the rest. Roast the chicken for 30-40 minutes, until the chicken is completely cooked through (not pink) with the skin crispy/ darkened. Half way through cooking frequently baste the chicken with the juices. Once cooked remove from oven and glaze each piece then serve the rest of the tamarind as sauce. If using electronic grill or barbecue use accordingly. Sucha gorgeous looking dish! I love tamarind and windely use it in cooking. Got to try this dish.. I love cooking with tamarind. It’s a pretty common ingredient in Malaysia. This marinade of yours looks real good. Bet the chicken’s finger licking good! Thank you! Yes it certainly is finger licking good. I have to try some Malaysian dishes with tamarind I bet they are really nice. I love tamarinds! My grandma used to make tamarind jam and some other goodies when we were kids. I use it in Thai dishes and desserts, but this chicken will have to happen soon. YUMMMM! I love tamarind too and nothing beats grandma’s sauces/jam. Thank you for commenting. What a great recipe! Tamarind + Chicken + Grill. Thanks for sharing. My mom neutralizes all her meat with salt and I have come to believe that the food tastes better as a result because you are essential tenderizing the meat and brining it slightly as well. You’re welcome. Yes, you can certainly taste the difference when you neutralise the meat with salt. yes please! This looks delicious and perfect for a weeknight dinner! yum!